Over three parts, she takes traditional storytelling and gives it a unique, contemporary twist. In ‘Heat’, we meet several generations of the Kresinger family and the legacy left by the mysterious Pearl. In ‘Water’, a futuristic world is imagined and the fate of a people threatened. In ‘Light’, familial ties are challenged and characters are caught between a desire for freedom and a sense of belonging. 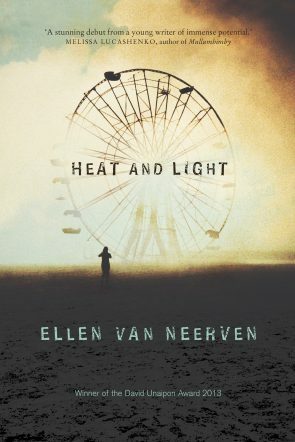 Heat and Light presents an intriguing collection while heralding the arrival of an exciting new talent in Australian writing. Winner of the 2013 David Unaipon Award. Ellen van Neerven is an award-winning writer of Mununjali and Dutch heritage. Her first book, Heat and Light (UQP, 2014), was the recipient of the David Unaipon Award and the Dobbie Literary Award. It was also shortlisted for The Stella Prize and the NSW Premier’s Literary Awards. Comfort Food is her first collection of poetry.